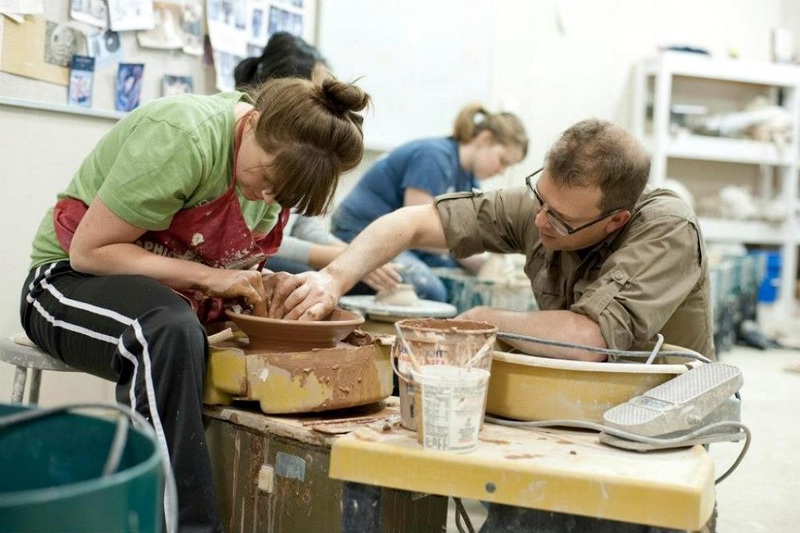 Art Education: Essential or Perfect? Plastic or Music are two subjects that are often undervalued or considered minor compared to other non-artistic ones such as language or mathematics. But several studies show that they are essential. The UNESCO has come to ensure that arts education can make a direct contribution to solving social and cultural problems of the contemporary world. Even within the academic field, there are several scientific studies that have shown that learning through artistic strategies improves performance in the rest of subjects. Music, visual arts or theatre, are subjects that we find among school programs but to which, in most cases, they are not given the importance they have compared to other subjects, such as Mathematics or Literature. Commonly they are called “marias”, since they are considered to be easy to execute and whose function is more to offer a time of relaxation to the student than teaching. However, these subjects provide students with a series of benefits that are vital for the development of qualities and competencies essential for their personal and professional life, as well as science or geography. All public and private schools include the arts within their subjects at their different levels of study. The art education brings many benefits in learning children even though they generally tend to think they are fillers and which have nothing to do with other like math or language. However, if approached properly, the child can achieve important personal, academic and social developments. For its teaching, elements are taken into account that must first pass through the children’s senses, be seen, heard, smelled, touched, observed and detailed. In this way, they can be processed and invite children to express themselves without fear, either through the manifestation of various sensations, moods or concerns, among others. The art gives the opportunity to know better our own culture and identity. It is a means that allows us to remove the most sensitive side and express our emotions, ideas and feelings. The benefits of art classes is that the activities increase the perception of the environment and, at the same time, generate in the student a flexibility of thought to be able to interpret the world around him. You must bear in mind that, through the different artistic modalities, children are capable of developing imagination, sensitivity, expression, creativity, perception, sense of rhythm and space, tactile, visual memory and auditory. We must not forget that these elements have an important weight, since they generate in the student security and autonomy, basic aspects for our daily life. The artistic education implies four knowledge: to be, to know, to do and to coexist. On the one hand, doing refers to practice, that is, the process by which one learns to do the masterpiece. Meanwhile, knowledge refers to aesthetic appreciation. Being includes all these skills as well as the sensitivity and creativity that comes from making an artistic work. All of them are important elements in the intellectual development of the human being. The artistic education manages to stimulate cognitive abilities and allow the individual to express himself, communicate to others through a different language and make his work known. The art appeals to your most sensitive side. Thanks to the artistic education, the individual generates emotions, feels, identifies and expresses his ideas through his own creative manifestation. Produce and create, which leads to having a series of emotions and self-satisfaction when generating a new product or a work. This type of education concentrates the attention and cooperation of children. The artistic meetings with a meeting point between children, teachers and parents. Children themselves are involved in what they want to generate and focus on their objectives to achieve the desired work. In addition to this, as you have pointed out, many artistic activities must be done in groups and this means that children learn to work in teams more easily. The main benefits of art classes are it offers the opportunity to explore in your imagination and, at the same time, the ability to perform better in different social environments.